Image credit: NASA Juno/SWRI/Kevin M. Gill/Jason Major. 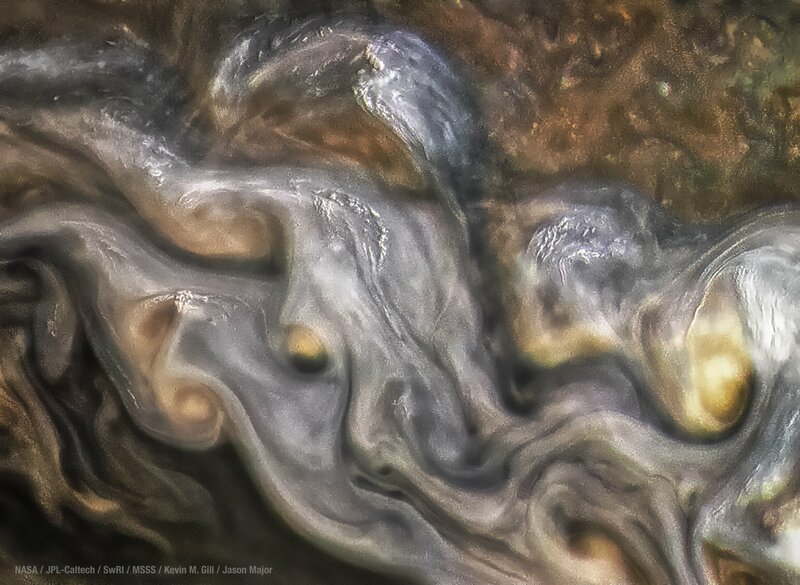 Like creamer in your morning coffee, Jupiter’s multicolored gas bands swirl just 3,500 km (2,175 mi.) underneath NASA’s Juno spacecraft and JunoCam during close approach, known as perijove 6, on May 19, 2017. Like Cassini at Saturn before it, Juno is in the process of revolutionizing what we know about the gas giant all the while delivering some astonishing images along the way. As we (humanity) see things that we’ve never seen before, images like this, touch emotions inside of us that don’t often have the opportunity to present themselves. 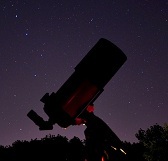 At its closest point to Earth, we aim our telescopes to an object that’s still 588 million km (365 million mi.) away and here we have a view from a slightly greater distance than Boston to Denver. So close to where we can easily identify separation in cloud layers. So close, that we feel the image just as much as we see it. Image | This entry was posted in Astronomy (Learning), Images, News, Solar System and tagged DanSpace77, Jason Major, JPL, Juno, JunoCam, Jupiter, Kevin Gill, Kevin M. Gill, NASA, NASA Juno, Planet, Planet Jupiter, Planets, SWRI. Bookmark the permalink.